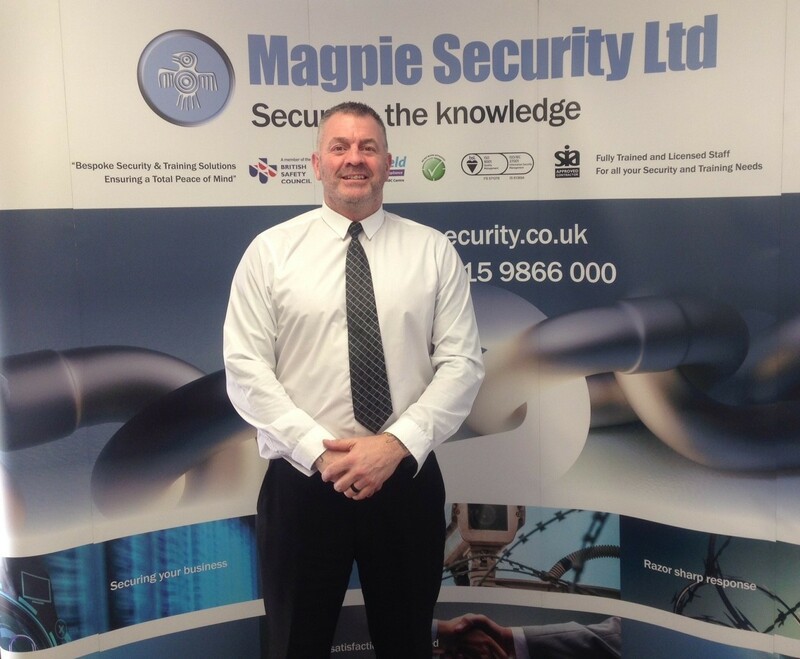 Steve Drake, the self-defence instructor and security training manager at Magpie Security in Nottingham, the SIA-approved guarding contractor, writes about purse snatching, and what to do about the risk. One way to prevent purse snatching is not to carry a purse, or to carry it in a way that makes it quite inaccessible, such as wearing something over the top of it. Many women think that wearing a shoulder bag with the strap diagonally across their body is a good idea but, in fact, if someone grabs the purse in that position and tries to run with it, it can catch the strap around your neck. Keeping your purse close to your body and your arm over it makes it a little harder for someone to grab the purse. Also, being aware of who is around you is very important. Some people think it’s better to just allow the snatcher to take your purse to protect their life. We can’t say yes or no to this state of mind. That’s a decision that you have to make on the spot, and that decision is influenced by a lot of factors. If the person is trying to injure you to get the purse, you have the right to defend yourself to protect against being harmed. If you decide that you want to fight for your purse, you should know how to fight and you should make sure that your attacker is not armed. You might reduce your anxiety about this crime by taking advance steps to minimise its impact, such as not carrying much cash, making sure you have copies at home of the favourite photos you carry, and knowing the procedures for reporting stolen credit cards. If you have taken these precautions, it might be easier to give up the purse without a fight. Understand that you could be the victim of a violent crime anywhere at any time. 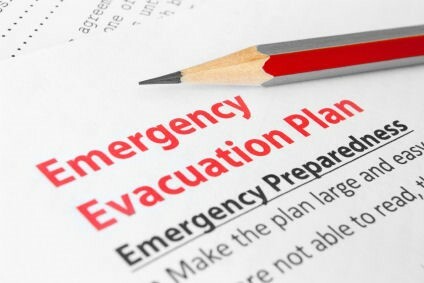 Think about what you would do in a certain situation (answering your front door, driving home, taking money out of an ATM). Assess your surroundings. Understand that most sexual predators and street criminals plan their crimes (at least to some extent), most also look for certain characteristics that make for good targets. It is safe to assume that the assailant has been watching you for a while before he initiates the attack. Act confidently and be aware of your surroundings. 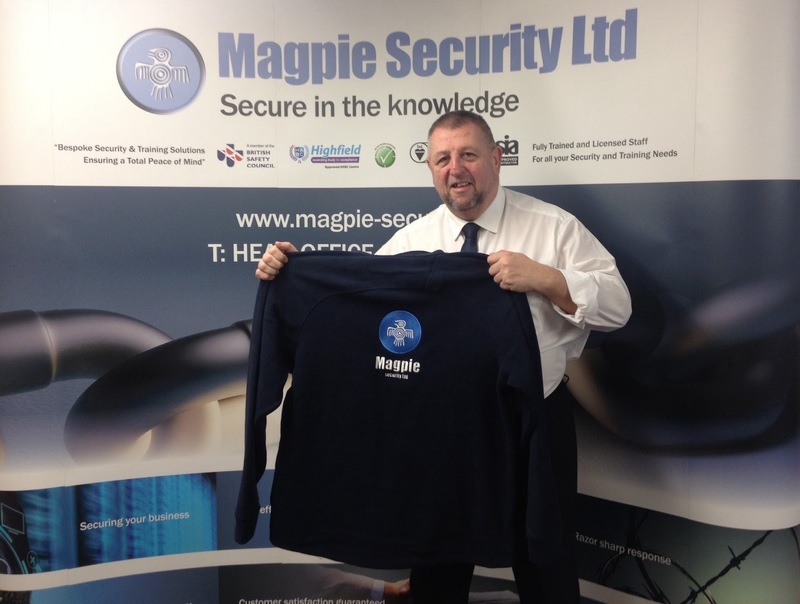 “Magpie Security Ltd working in partnership with CTP"
MAGPIE SECURITY LTD IN CONJUNCTION WITH CTP LEARNING CENTRES CAN NOW OFFER FULLY FUNDED TRAINING FOR YOU TO WORK IN THE PRIVATE SECURITY SECTOR. 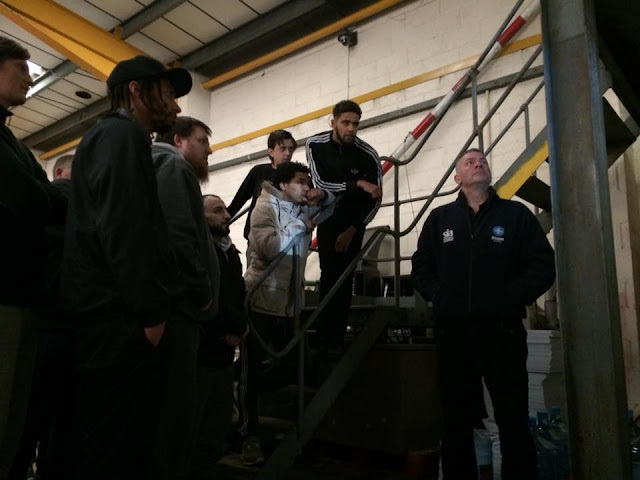 Career Transition Partnership known more commonly as CTP are based in Radford and has a training centre which aims to develop the skills of local residents to help them into employment or further education. 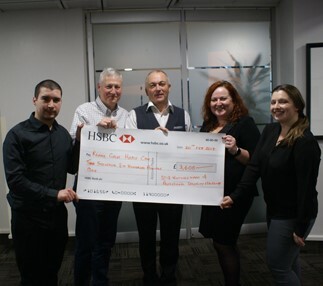 CTP have helped over 200 people into real long-term jobs around the country and now want to help in Radford/Hyson Green through it’s local Centre’s. 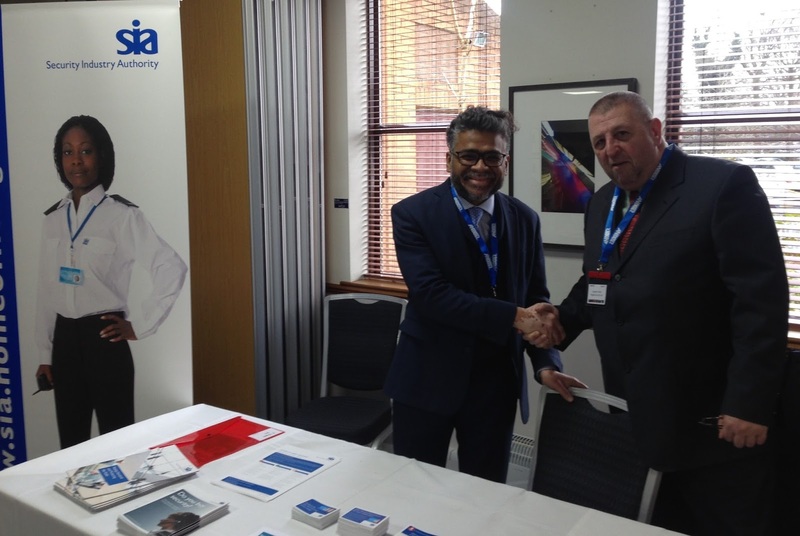 CTP recently sat down with us to discuss how we could work together to help people start a career in the private security sector. CTP offer Employability qualifications at entry level. 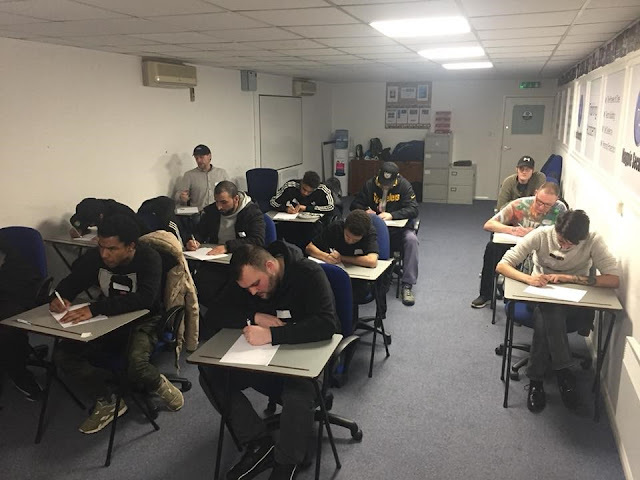 You'll find out what employers are looking for, discover how to feel confident in interviews and make sure you know the best way to stay in work and keep a job. 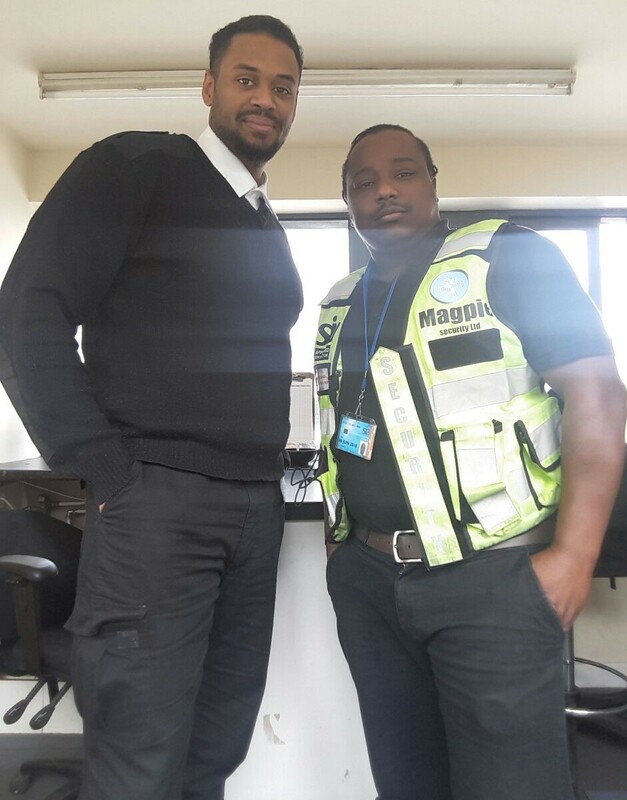 Magpie Security’s in-house trainers have unparalleled knowledge and expertise on the requirements for security personnel and are therefore a great source of advice for security individuals looking at procuring a training provider. After several successful meetings we a proud to announce our training partners CTP are now able to offer ‘FULLY FUNDED SECURITY PRACTITIONER’ training to 120 people who are unemployed in the East Midlands. “SELF DEFENSE FOR WOMEN – DON’T BE ANOTHER SATISTIC"
Assess your surroundings. Understand that most sexual predators and street criminals plan their crimes (at least to some extent), most also look for certain characteristics that make for good targets. It is safe to assume that the assailant has been watching you for a while before he initiates the attack. Act confident and be aware of your surroundings. Do whatever it takes. If the aggressor wants material possessions like your brand new leather coat or the contents in your purse - give them up because they are not with risking a physical confrontation. 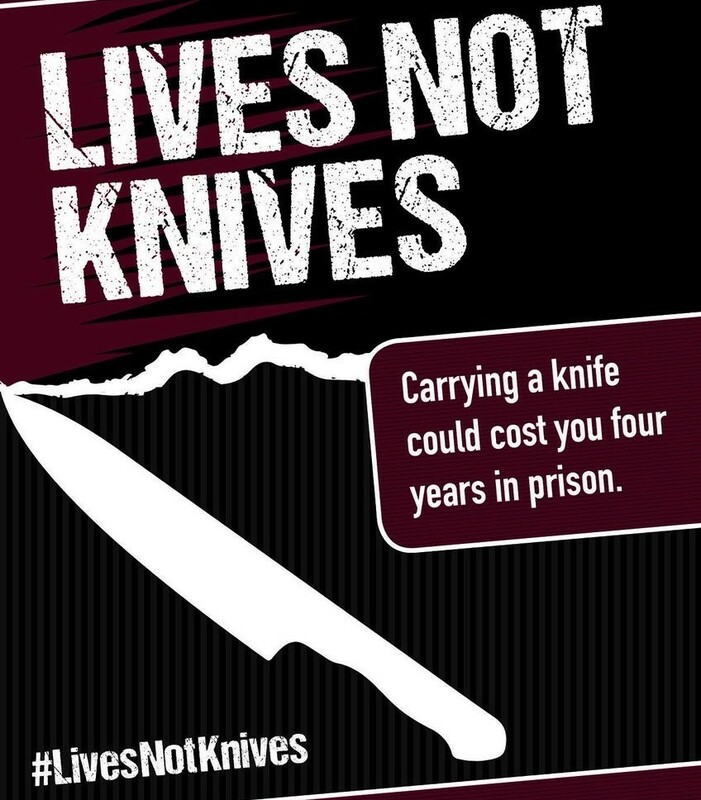 Understand that when you feel that you are in imminent threat of harm, you have the right by law to use as much force as necessary to defend yourself from that threat. We suggest that under these conditions you strike first. The assailant has chosen you as his victim because he views you as an easy target, your decision to strike first at him will not be expected. 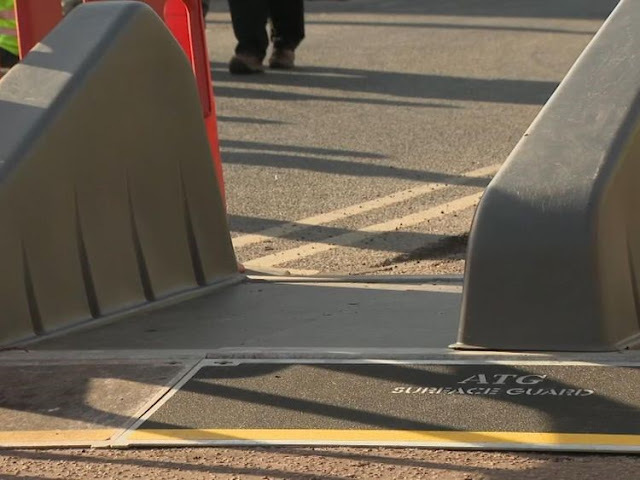 Remember the street safety steps. When an stranger approaches you in an isolated area and your instincts tell you something isn't right about the situation - always act on your instincts. Maintain at least a 3 - 5 feet distance out of the reach of the aggressor. Face the aggressor, running is only an option if you can get to a safe place before he catches up to you. Keep your hands free, look at his neck area (do not look down or turn away). If he asks a question, no matter how legitimate it may seem, respond negatively. For example, if he asks for directions to main street - respond with a "no, I can't help you" If he comes up with more questions tell him to leave you alone. Women are faced with a disadvantage; traditional ways of educating our children are responsible for not allowing girls an opportunity to defend themselves in threatening situations. Magpie Security Ltd were pleased to sponsor the recent Notts County F.C. 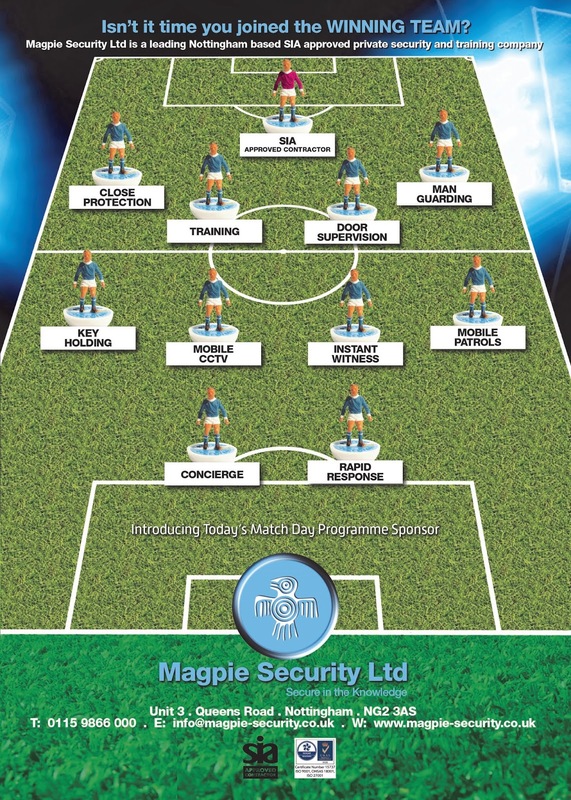 match day programme against local rivals Mansfield Town on Saturday 17th March. 12,514 supporters braved the weather and the match itself finished all square at one goal each. Sport is becoming the number one pick for leading brands and brand awareness. 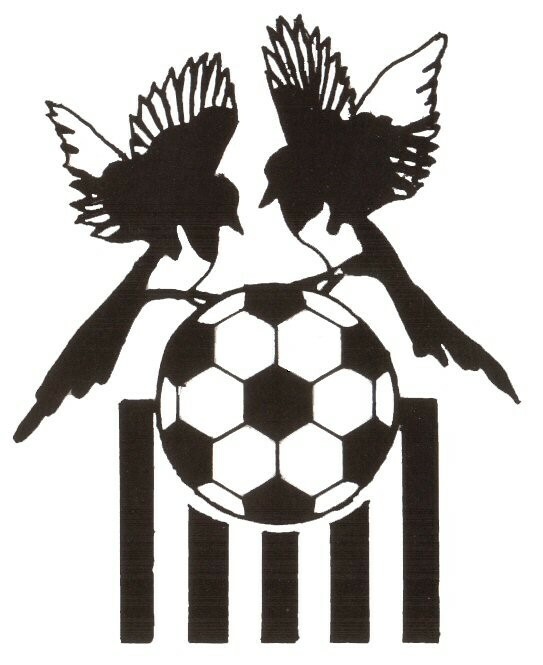 The Magpies are having a great season and are real contenders for promotion into division one next season. Magpie Security looked at the opportunity to tap in to the fan base of both Notts County & Mansfield Town. We choose to advertise who we are and what we do in the programme and the advert was nicely placed next to the popular fans gallery page. 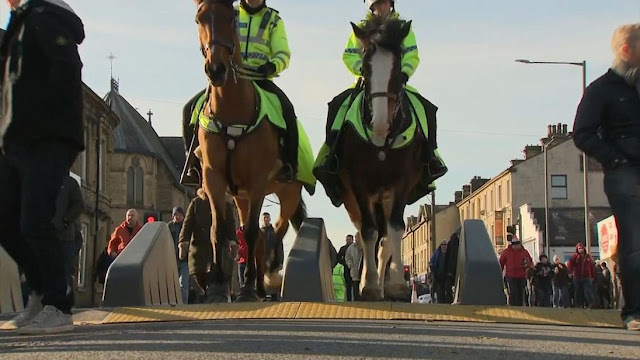 Our motivation was to build brand awareness, drive excitement around our brand, products and services and to simply be part of the event that was always going to attract a high volume of people in our local community. 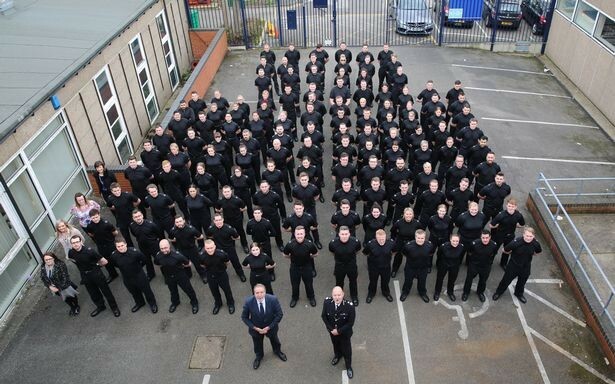 Is it something we would do again in the future? ABSOLUTELY. 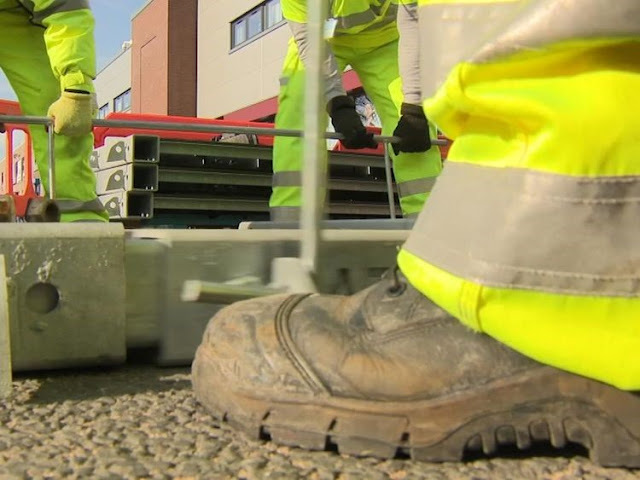 Construction of a £300m rehabilitation centre for injured military personnel is almost complete in the grounds of a stately home in the East midlands. 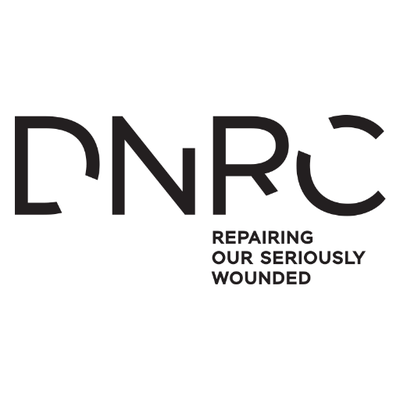 The Defence and National Rehabilitation Centre (DNRC), at Stanford Hall on the Nottinghamshire-Leicestershire border, is due to open later this year. The centre, which will be able to accommodate up to 300 injured servicemen and women, has been funded by donors led by the Duke of Westminster, who bought the stately home in 2011. The Stanford Hall Estate has the capacity to support both the Defence establishment and future national facility in a single site which will be vital in promoting the transfer and sharing of knowledge. Most importantly the site is large enough to be able to accommodate all the planned development without diminishing the character of the open parkland landscape setting, which will play such an important role in supporting patient rehabilitation. 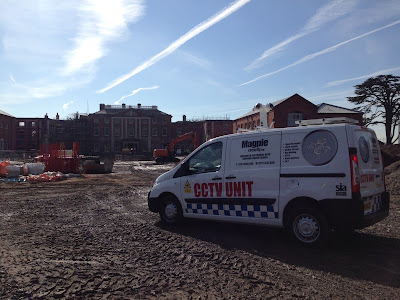 Magpie Security has enjoyed eight great years protecting the assets of the site throughout its development and wish the National Rehabilitation Centre the very best for the opening. 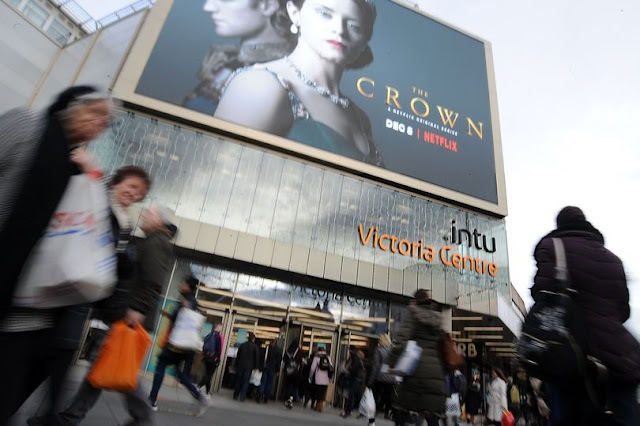 From social media snooping to bogus Brexit investments - a high street bank is highlighting the eight areas it expects scammers to be operating in throughout 2018. 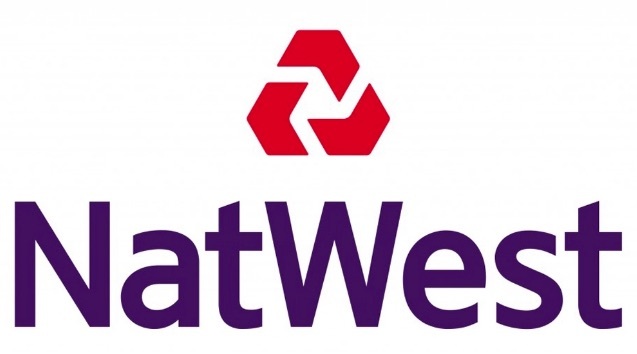 NatWest has looked to identify some of the key ways in which fraudsters could try to con people this year in a bid to help people avoid falling foul. 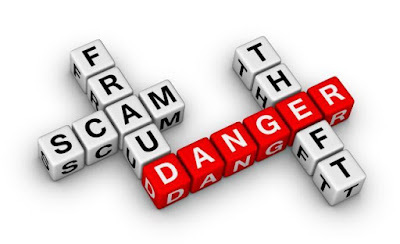 The bank has worked with research agency the Future Laboratory to analyse scams trends from the last 18 months and predict eight emerging frauds in 2018. 6. Wedding excitement. Experts fear couples could be easy prey for scammers who tempt victims with extravagant offers at bargain prices. Scammers can set up fake websites for elements of the big day like venue hire, catering, or wedding dresses that appear very realistic. Fake wedding planners will take people's money and then disappear. 7. Romance scams. Criminals create fake profiles to form a relationship with their victims. 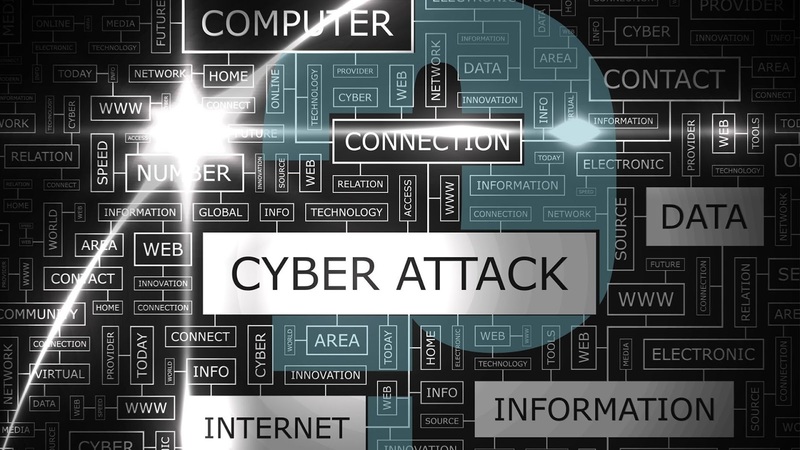 They use messaging to mine victims' personal details to use for identity fraud. Or, just when the victim thinks they have met the perfect partner the scammer asks them for money. 8. Scams aimed at first-time buyers. Computer hackers monitor emails sent by a solicitor to a first-time buyer and then they pounce, pretending to be the solicitor and telling them the solicitors' bank account details have changed in order to steal cash. Julie McArdle, NatWest Security Manager, said: "Scammers are dogged in their attempts to get their hands on people's money and are always looking for new ways to get ahead. This means banks and customers need to evolve alongside scammers too. By being aware and staying ahead of scammers, we can stop them winning and keep the country's money safe and secure." 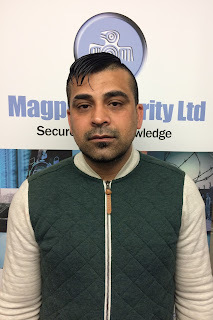 Magpie Security Ltd would like to congratulate Adil on his Employee of the Month Award. 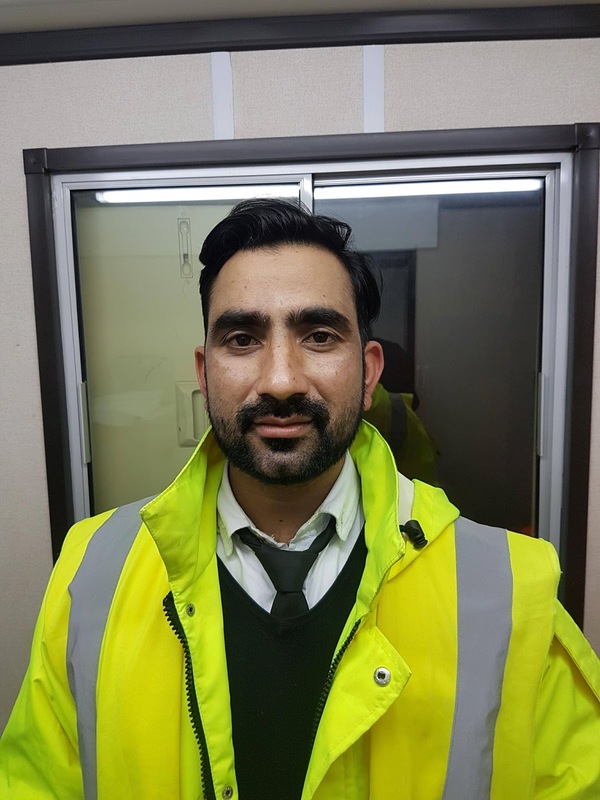 Adil’s preemptive actions on a construction site prevented theft of high value plant & machinery in addition to saving thousands of pounds worth of damage to the client. 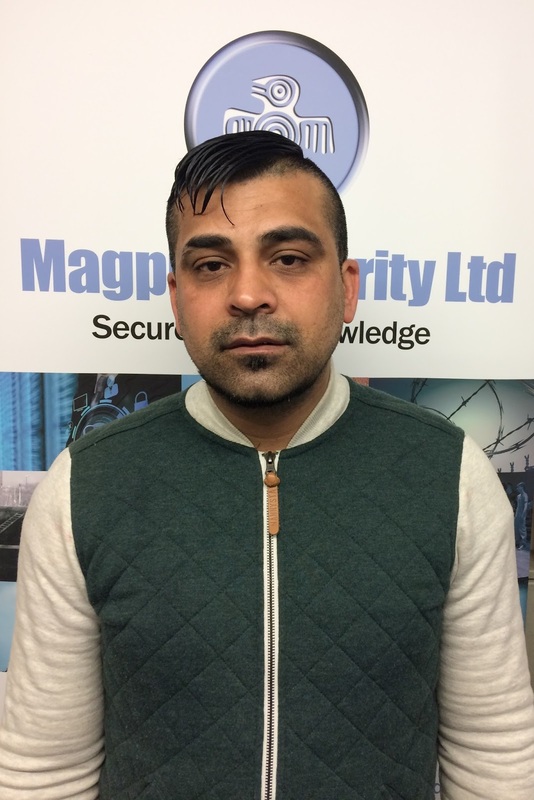 The Magpie Management Team were very impressed with Adil’s performance, making him the winner of the Employee of the Month Award for April.